This is a true expedition power catamaran in a size that’s perfect for an owner’s private use. With a 1500 nautical mile range you will be amazed at the level of comfort yet practicality this vessel offers. 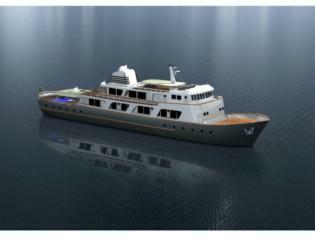 2 VIP staterooms and 2 guest cabins allow accommodation for 12 with an open plan layout that is perfect for entertaining. 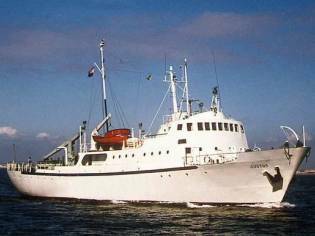 An excellent fitout and well thought out specification has ensured this vessel is most suited to comfortable long range cruising or as a live aboard. Excellently engineered, there are plenty of redundancies to make your time at sea as safe as it is enjoyable. 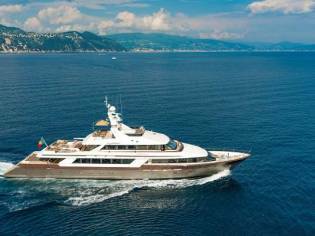 Genuine enquiries only as this recently launched vessel is a true-turn key proposition purposefully designed to greatly enhance an owner’s lifestyle at price way below replacement value. Description This is a true expedition potential catamaran in a dimensions that’s perfect for an proprietor’s private use. 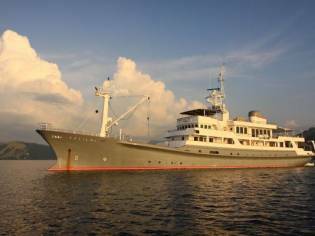 With a 1500 nautical mile diameter you will be amazed at the level of luxury yet practicality this boat deals. 2 VIP staterooms and 2 visitor compartments allow seating for 12 with an open plan layout that is perfect for entertaining. 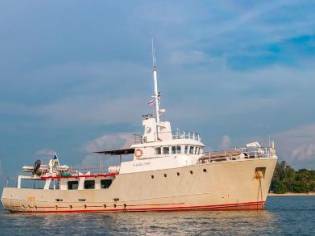 An excellent fitout and well thought out specification has ensured this boat is most suited to luxuryable long diameter cruising or as a live aboard. 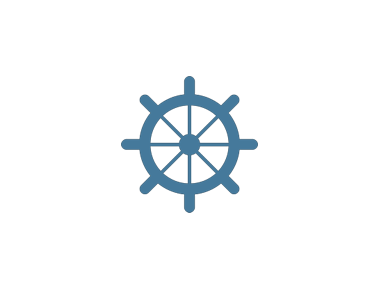 Excellently engineered, there are plenty of redundancies to make your time at sea as locker as it is enjoyable. 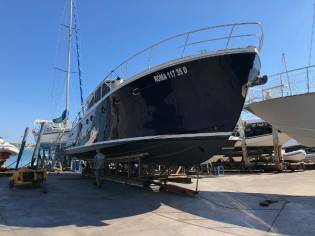 Genuine enquiries only as this recently launched boat is a true-turn key proposition purposefully crafted to greatly enhance an proprietor’s lifestyle at price way below replacement value. 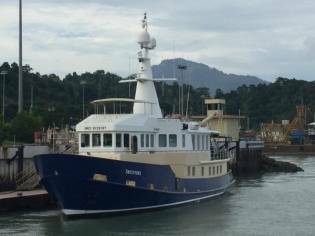 Price AU $2,900,000 plus GSTVessel Name ContrastDesigner SCY DesignBuilder Gold Coast ShipsLaunch Date 2017LOA 17.19m - 56' 5"Beam 6 mDraft 1.5 mDisplacement 35,000 KgFlybridge AluminiumHull Material AluminiumDeck Material AluminiumMax Speed 22 KnotsCruise Speed 15 Knots MachineryEngine Make YanmarEngine Twin Yanmar 464 HP Diesel EnginesFuel Type DieselHorsepotential 2 x 464 HPEngine Hours Port: 640 hours2nd Engine Hours Starboard: 640 hoursDrive System ShaftProps 5-BladeFuel Capacity / Tanks 5,600 LitresFuel Consumption 40 Lph Combined @ 10 KnotsGenset Model 2 x Onan 13.5 KVAWatermaker 2Air Conditioning CruiseAir A/C AccommodationCabins 2 x VIP Queen compartment staterooms with ensuites, 2 x Guest compartments each with 4 bunks.Total Berths 12Saloon Luxury bar with luxuryable seating that flows out to the dining deckHeadroom FullShower 3H/C YesToilet 3 x ElectricHolding Tank Yes GalleyLayout Port side located on bar level, huge island bench top.Storage Excellent stowage solutions commensurate with extended cruising.Fridge 2 x Vitrifrigo DW360 DTX (2 x 157 Litre refigerators)Freezer 2 x 80 Litre drawerStove Type Electric 4-Burner + Under bench ovenMicrowave YesHot Water System 240VWater Capacity / Tanks 2,000 LitresComments Separate ice maker + ice box, Dishwasher, Bosch washer / dryer. ElectricsLighting System 24V LEDShore Power 240VInverter 5 kW InverterBatteries 1,200 ah house batteries, 6 x 200 ah start batteriesSolar Panels 8 x PanelsOther 3-Phase - 5 x Battery chargers, Excellent redundancy. Electronics & InstrumentationGPS 4 x Raymarine ES-128 12Plotter ComboSounder Raymarine CP370Radar Raymarine RA1048DAuto Pilot Raymarine P70RWind Instruments YesRadios HF: ICOM ICM70, VHF: Raymarine EntertainmentAM/FM Radio Fusion StereoCD Fusion StereoTV In each bedroom, 1 x Saloon, 1 x ExternalSurround Sound 4-Zone unit Safety EquipmentBilge Pumps 10 x 240V Electric bilge pumpsLiferaft 25 PaxEpirb YesLifejackets 40Fire Protection Fire suppressionSpotlight Remote to front Deck Hardware / FittingsAnchor Winch ElectricRemote To HelmAnchor 2 x 70 Kg MansonChain 150 mDavits 650 Kg DavcoDinghy 3.9 m AB RIBOutboard 40 HP MercBBQ Electric Stainless SteelRod Holders YesCockpit Shwr / Deck Wash Yes Accessories / Additional EquipmentMore Gear Rear spot lightSurvey Details Built to Australian NSW charter survey 1B for 22 Pax. Vessel not in survey classification - May require additional mods to comply. Vessel manufactured to NSCV Code. As details given above are as furnished by the proprietor of the boat, Ensign takes no responsibility as to their accuracy. The vendor and purchaser agree that no guarantee or guarantees of any style have been implied or given by the broker or its servants. power boat used with motor Yanmar located in Washington (Australia). 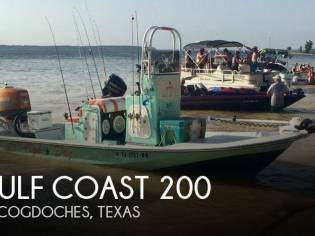 The current for sale price of the Custom Gold Coast Ships Expedition Cat of the 2017 is negotiable.